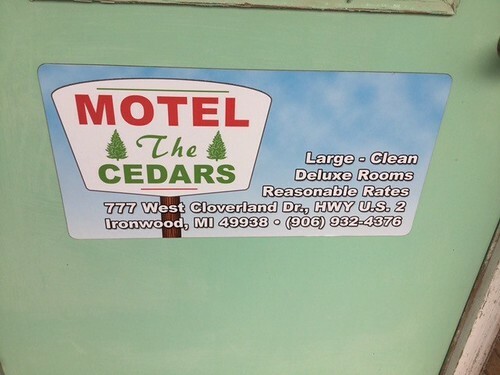 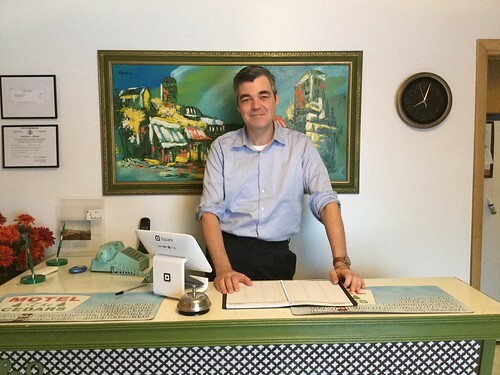 The Cedars Motel is a hidden gem where you and your family can come and enjoy the sights, hiking trails, and overall beauty of Ironwood’s surrounding nature. Whether you’re interested in scenic walks or skiing, our friendly staff is here to help you find the perfect activity. 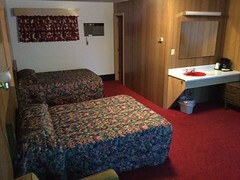 At the end of a long day exploring, one of our comfortable, oversized rooms will be just the place to kick back and relax. 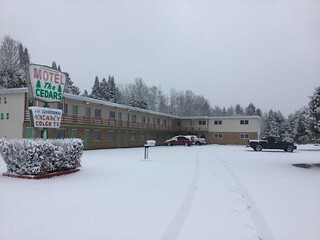 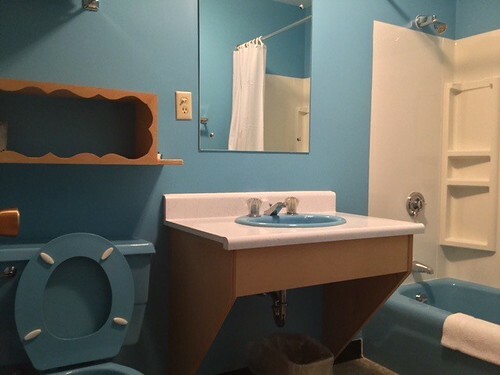 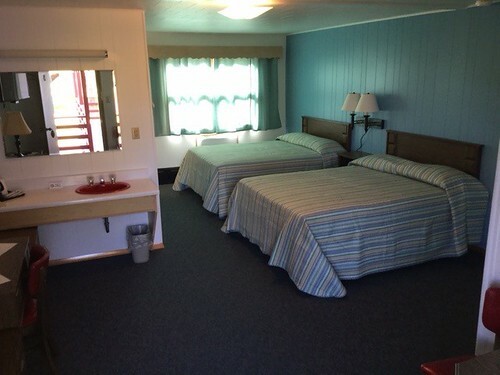 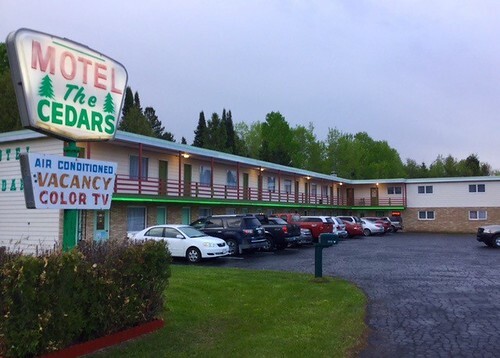 The Cedars Motel offers spacious rooms with plenty of parking. 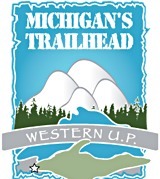 We are on the Wisconsin / Michigan border and on Trail 2. 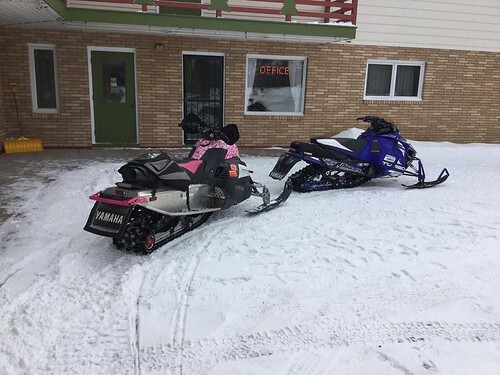 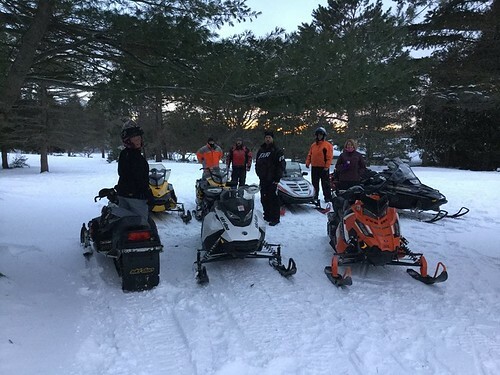 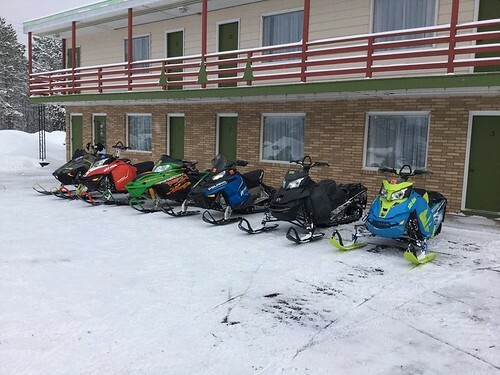 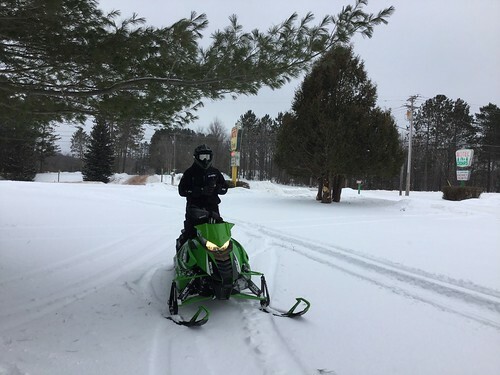 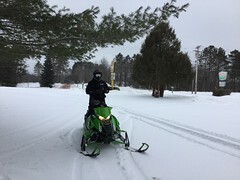 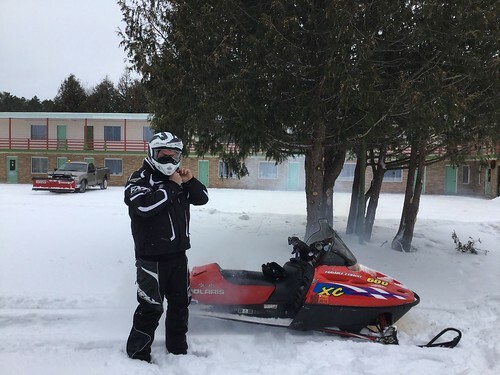 A second access trail is being developed thru our 5 acre cedar grove to warm up your sled before you hit the main trails and a motel rental snowmobile for those who want to get started in this fun filled winter sport. We have a 21 plus cleanest and most cozy rooms in the area plus a Northwoods 3 Bedroom Deluxe Suite. 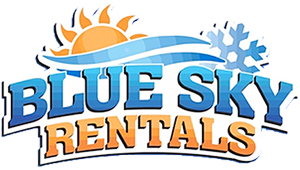 Look us up on Facebook and call our experienced staff and book today! 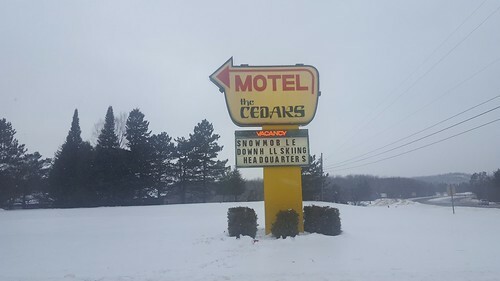 Below are the latest postings from The Cedars Motel Page On Facebook. 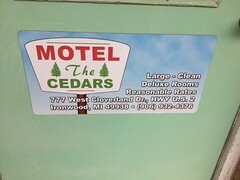 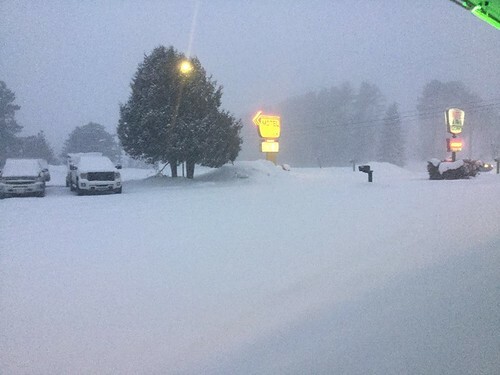 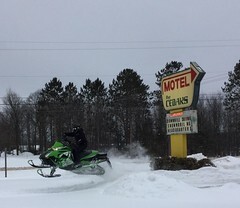 The latest photos from the instagram account of The Cedars Motel.